The Maintenance/Technology Request Template is typically used when you have maintenance/IT requests that have previously been placed and executed while you were using a program or software before transitioning to FMX. With this bulk import option, you have the ability to keep a record of your previously executed tasks to look back on when necessary. Requests Sheet - This sheet will contain the specific details regarding the maintenance, technology, and custom work requests which will be referenced on the subsequent sheets. Name*, Building*, Request type*: This information is the same as what you will find on the other templates. They are all required fields, and they must reflect what is already in place on your FMX site. These can always be added to their site if need be. On behalf of: This would be filled out if the request was made on the behalf of someone else. Location, Equipment items: This information is the same as what you will find on the other templates. Where specifically does the work request need to be executed? Were any Equipment items necessary in order to execute the task? These are not required on this import. Due date*: This required field is asking when the work request’s due date was. Description: This is not a required field, but it can come in handy when you are trying to be specific when scheduling work requests. Created Date* and Time*: These required fields are asking for the time and date in which each work request was created. User*: This required field states which user created each work request. Followers: Users can tag Followers on each work request they create so that others can see the details of the request. Assigned Date and Time: When and at what time was each request assigned? (date: MM/DD/YY). Assigned users: If a task was assigned to a particular User, to which User was it assigned? Outsourced: If this request was outsourced, to whom was it outsourced? This can include more than one supplier if need be. Custom Fields: This is always an option if you need to add any other required/non-required details to your work requests. These can be added to your FMX site under Admin Settings. Response Sheet - This is where the supervisory responses to the maintenance, technology, or custom work requests are stored. 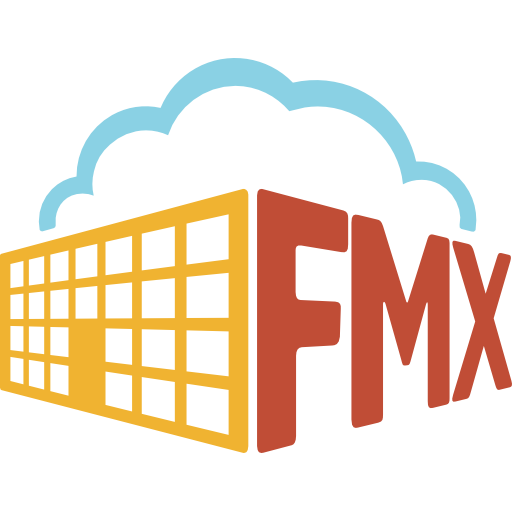 Information is typically entered here when transferring historical data into your FMX site. Request*- Reference the name of the request as recorded in the Requests Sheet Name column. Date* - The date of the response to the maintenance, technology, or custom work request. Time* - The time of the response to the maintenance, technology, or custom work request. User* - Record the name of the user responding to the request. User names must match what already exists on your FMX site. Response* - The response provided to the user regarding the request. Resolution Sheet - When a resolution is reached, this is where the customer inputs the details of the resolution. Information is typically entered here when transferring historical data into your FMX site. Request* - Reference the name of the request as recorded in the Requests Sheet Name column. Date* - Enter the date of the resolution. Time* - Enter the time of the resolution. User* - Provide the names of the users providing notification of the resolution. User names must match what already exists on your FMX site. Cost - Record the overall cost of the resolution. Hours - The number of hours worked toward the resolution. Resolution* - A description of the resolution and the work performed. Reopening - In the event of a reoccurring problem on a previously resolved maintenance, technology, or custom work request, provide details regarding ticket reopening on this sheet. Information is typically entered here when transferring historical data into your FMX site. Request* -Reference the name of the request as recorded in the Requests Sheet Name column. Date* - The date the maintenance, technology, or custom work request is reopened. Time* - The time the maintenance,technology, or custom work request is reopened. User* - Provide the name of the user reopening the ticket. User names must match what already exists on your FMX site. Reason* - Describe the reason for reopening the ticket.